The Order of Antioch was first planned by Prince-Abbot Joseph III in 1928, and had he lived to regain his liberty from Rome, he would have served as its head and been at the forefront of its development. In the event, his untimely passing in 1929 meant that the task of its organization fell in large part to Archbishop Frederick E.J. Lloyd (1859-1933), Primate of the American Catholic Church. It was Archbishop Lloyd, then, who established the principles of the Order. Under his leadership, membership was open only to bishops, who must be men, who held the Antiochean Succession through Prince-Abbot Joseph III. Prince-Abbot Edmond I was among the first members of the Order under Archbishop Lloyd. After Archbishop Lloyd died in 1933, leadership passed to Archbishop Timothy Howard Ellsworth Mather (1896-1964) of New York. Archbishop Mather was initially a Congregationalist minister, and Congregationalism was a thread that would run through a number of the clergy of the Order who held both Congregationalist ministerial office and had received Apostolic consecration. Mather left the Congregational Church in order to be ordained priest by Arthur Edward Leighton of the American Catholic Church. However, a schism from the American Catholic Church formed, entitled the Apostolic Christian Church, which in time attracted a number of the more esoteric clergy. The head of that body, Archbishop Samuel Gregory Lines (d. 1940), consecrated Mather assisted by bishops William Albert Nichols (1867-1947), then of the Apostolic Christian Church, and George S.A. Brookes of the Holy African Church, on 20 November 1933. Mather took the title of Mar Timotheus II in memory of Prince-Abbot Joseph III, and was installed as Exarch and Archbishop of the Order of Antioch. Mather soon brought others into the Order, notably Alfred Thomas Bennett Haines (b. 1891), Vicar-General of the Liberal Catholic Church (later also to work as a Congregationalist minister), the famous Unitarian minister Preston Bradley (1888-1983), the Congregationalist Frank Dyer (d. 1963) of Santa Monica, and J. Morrison Thomas, minister of the Ravenswood Congregationalist Church in Chicago. Of these, Haines and Thomas would eventually serve as bishops in the North American Old Roman Catholic Church under Archbishop Carmel Henry Carfora (1878-1958), who gave his permission for them to continue their Congregationalist ministries simultaneously. Two other significant members of the Order were Archbishop Percy Wise Clarkson (d. 1942) of the American Catholic Church at Laguna Beach, California, and Clarkson’s successor Archbishop Lowell Paul Wadle (1900-65), whose career is described elsewhere. On 21 March 1939, Mather appointed Fr. Alfred Kaufmann of the Orthodox Catholic Church in England as Archpresbyter of the Order of Antioch in the British Isles and vested the authority of the Order for that jurisdiction in him in the absence of an episcopal head. Mar Georgius of Glastonbury (1905-79) was also a member of the Order and the Order was represented at the 1943 Council of London which has been discussed elsewhere. In 1946 Mar Georgius was appointed as Exarch of the Order for the British Isles and it was under the authority of the Order that Mar Georgius would raise the noted esotericist Richard, Duc de Palatine (1919-78), to the major orders in 1953, although de Palatine was immediately granted his own jurisdiction separate from that of the Order. Mather appointed Dr Henry M. George as a member of the Order, and he was given the title of Mar Cyprian with the office of Grand Prelate. George was another Congregationalist minister who had received Apostolic consecration, and served as Professor of Sacred Scripture at the Savonarola Theological Seminary of the Polish National Catholic Church in Scranton, Pennsylvania, during the 1970s. George was also closely associated with Primus Dr Charles Boltwood. Mather had been adopted as co-adjutor by Archbishop Lines in the Apostolic Christian Church, but was replaced by Justin Joseph Andrew Boyle (Robert Raleigh) (1887-1969), who was also a member of the Order. Raleigh became head of the Apostolic Christian Church on the death of Lines in 1940 and was heavily engaged in esoteric work together with his wife Iada. On 30 January 1940 he incorporated the Church of Antioch and the National Academy of Metapathics in Los Angeles, California. On 27 June 1965, Raleigh consecrated Herman Adrian Spruit (a member of the Order of the Crown of Thorns) and later that year Spruit succeeded Raleigh as head of the Apostolic Christian Church, changing its name in 1968 to the Church of Antioch, Malabar Rite. 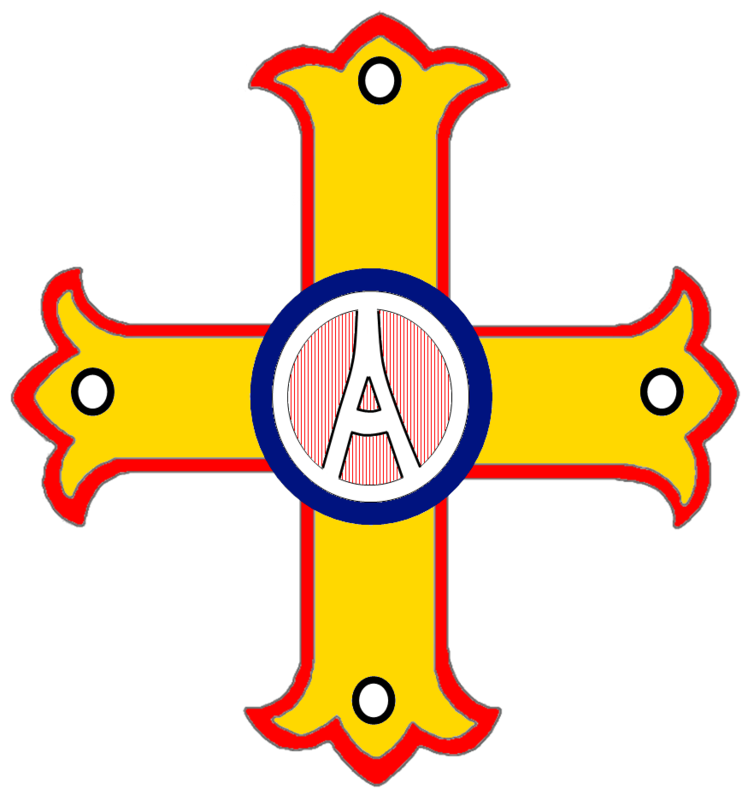 The Cross of Antioch (pictured above), a device incorporating extensive esoteric symbolism, is today most often associated with this church, although it has its antecedence more generally in the Antiochean succession, and has been worn sacramentally by both Prince-Abbot Edmond II and Prince-Abbot Edmond III. 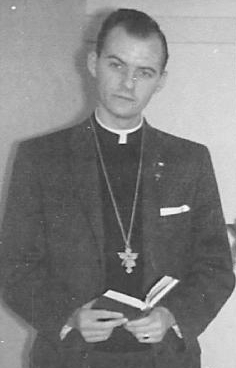 In January 1969, Raleigh consecrated Joseph William Damian Hough, who had originally been a bishop under Archbishop Richard Marchenna’s Old Roman Catholic Church. 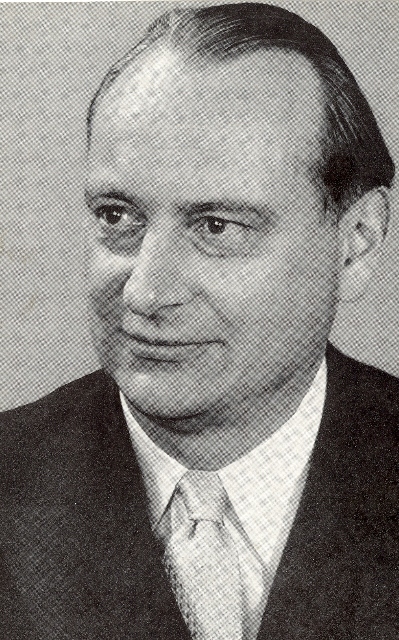 Hough, who served as Grand Prelate of the Order of Antioch for California, is probably best remembered today for his involvement in various controversial degree-granting institutions, one of which granted a doctorate to the leader of Scientology, L. Ron Hubbard. His principal profession was that of chiropractor, however. Having obtained Marchenna’s permission to withdraw from his jurisdiction, Hough founded the Old Roman Catholic Church in the United States of America in 1966, and this church combined the orthodoxy of Marchenna with something of the esotericism of Raleigh. It was in communion with the Old Catholic Church in Great Britain under Archbishop Gerard George Shelley after that jurisdiction was re-established for a short time after 1965. Hough retired in the 1980s and his church did not survive him. During 1963, Prince-Abbot Edmond II was consecrated by Bishop Frank Dyer of the Order of Antioch and at Dyer’s death in September 1963 became heir to his ecclesiastical offices. In January 1964, Mather died, and as a result of an arrangement previously entered into with Mather’s widow, Prince-Abbot Edmond II acquired the title to the corporation of the Order of Antioch together with its seals, letterheads and official documentation, He incorporated the Order of Antioch into the administration of the San Luigi Orders and appointed the late Prince Louis Ferdinand of Prussia (pictured left) as its High Protector. Under Prince-Abbot Edmond II (pictured right wearing the Cross of Antioch), the Order of Antioch changed its character to become predominantly chivalric in nature, most likely as a result of the difficult relationship that then existed with those clergy who had been members of the Order under Mather. Hough in particular was at odds with Prince-Abbot Edmond II for many years, and the Prince-Abbot in turn lost few opportunities to point out Hough’s undesirable associations and tendency to attract negative press attention. Others taking similar positions were either excluded from the Order by Prince-Abbot Edmond II or departed independently to form their own organizations. The Order’s change of character was reversed under Prince-Abbot Edmond III, who was concerned to restore the Order of Antioch to its original religious nature. The title of Superior-General was adopted for the Head of the Order. Under his leadership, the Order was opened for the first time to deacons and priests as well as to bishops, provided with new Statutes which defined its character and aims clearly, and entered into membership of the International Council of Community Churches, through which affiliation it has membership of the World Council of Churches and Churches Uniting in Christ, among other bodies. The Order’s present-day membership includes clergy in the United Kingdom, the United States and continental Europe.